We are starting a house renovation on our home in the Austin Hill Country! We are so excited, because we have lived here for fourteen years and loved every minute. We have a beautiful view of a gorgeous natural meadow with lots of oak trees and wildflowers. This is an equestrian neighborhood, so sometimes we see people riding their horses in the field! Now it's time for some updating! We are tearing out a fireplace and replacing it with a large wall of windows! I can't wait for the light to come pouring in and allow viewing access to our beautiful view! The ceilings in the living room and family room will have tongue and groove paneling added to the ceiling. The old paint, Benjamin Moore Desert Tan from fourteen years ago will be replaced with a shade of white, still to be determined. The walls and trim will all be the same color. The kitchen is getting an update , we are replacing the verde butterfly granite with new calacatta gold marble countertops, sinks, faucets, paint and light fixtures. 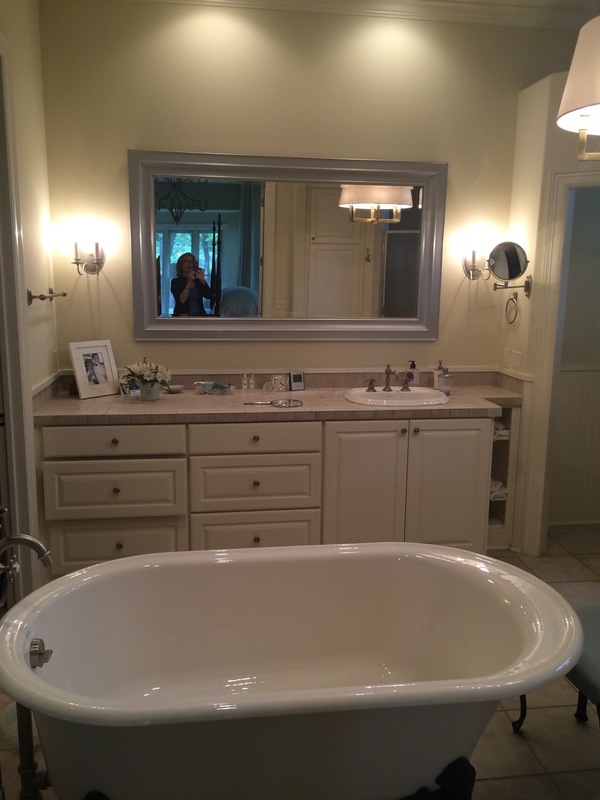 Our master bathroom will get a facelift with new cabinets, tile, countertops, sinks, faucets, lighting, mirrors and tub! I'll be posting photos along the way and sharing the in between process. I have to remain calm and patient during all the construction in the house.